Bunny was born in 1952, captured in the wilds of Asia and transported to America as a young calf. For more than forty years, she lived a mostly solitary life at the small Mesker Park Zoo in Evansville, Indiana. 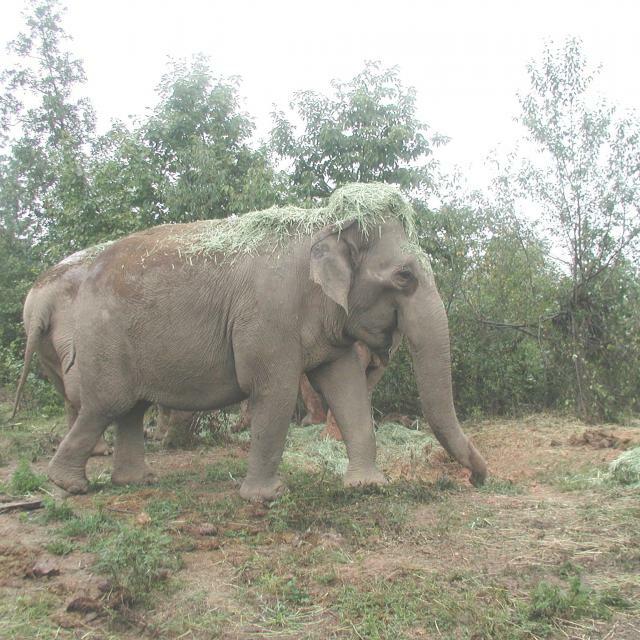 As Bunny grew older, she developed chronic foot disease and other conditions associated with elephants in captivity. In 1999, after months of deliberation, zoo management and the Evansville community decided to retire Bunny to The Elephant Sanctuary. 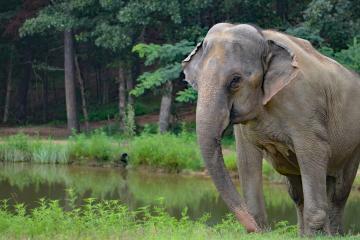 She arrived at The Elephant Sanctuary in Tennessee on September 29, 1999 as the Sanctuary’s fifth resident. Within hours, Bunny met and was seemingly accepted by all the other elephants, especially Shirley and Jenny. Her first days exploring the habitat were underscored by constant and animated trumpeting—a sign that staff took to mean she was pleased with her new home and herd. For the first time since her capture from the wild, Bunny slept out under the stars. She was dubbed the ‘Outdoor Girl,’ a nickname earned by enjoying her freedom to explore so much that it was sometimes difficult for Caregivers to locate her in the habitat. 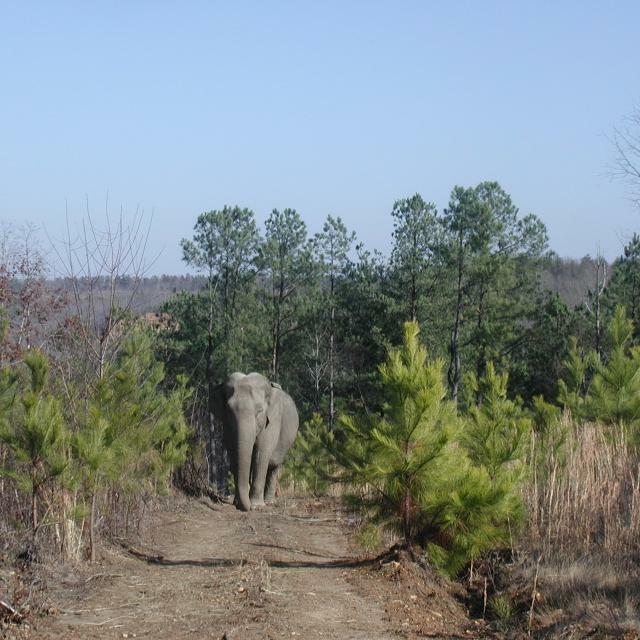 Bunny and her fellow herd members moved into The Sanctuary’s newly expanded Asian habitat in 2006. With another 2,000 acres of uncharted territory to explore, this ‘Outdoor Girl’ showed signs of instant approval. Bunny passed away, outdoors under the open sky, on May 14, 2009 after nearly a decade of retirement in The Sanctuary. She is fondly remembered at The Sanctuary and in Evansville where she was a member of the community for three generations.